It is a big part of it of course, and probably the principal attraction for many. However for a place to have a life beyond the nightclubs and bars there needs to be further attractions available, and particularly so for the long haul traveller, for whom there is usually no shortage of alternatives closer to home. It is that which makes Bali different. A Hindu enclave in a Muslim country, the religious culture is central to so much of life there, every house almost has a temple, though naturally in the cities where space is at a premium they are much smaller. Out of town large parts of each home is given over to it, a startling sight for a western tourist undoubtedly. Equally, life is governed by consultation with the local temple, whether it be for marriage, births or more mundane matters. The visitor can partake in some of this, for many temples offer blessings. Initially, this sounds like the worst kind of cheesiness, a sop to those pretending to throw themselves into local life, but in reality it done rather well. Certainly these things are not done on a production line with numerous others alongside, but instead are very individual. Belief is a different matter, but as an insight into the Balinese culture it does have value, for the elders will take their time over explaining the customs and what they mean for the local people. Some of the agriculture is given over to the growing of plants that act as offerings, which does give a clue to the scale of it all. Such donations can be seen all over the streets, small boxes containing numerous different items and with different meanings. Likewise the dashboard of the car will likely have the same. It is ubiquitous and it won’t be long before the tourist takes its presence for granted. Careful where you walk though. Rice remains the staple crop and the terracing built in order to extract the widest area of husbandry is certainly an attraction. It is both beautiful and architecturally impressive. Yet most production is simply in the fields, and the farming is still largely by hand and unmechanised. 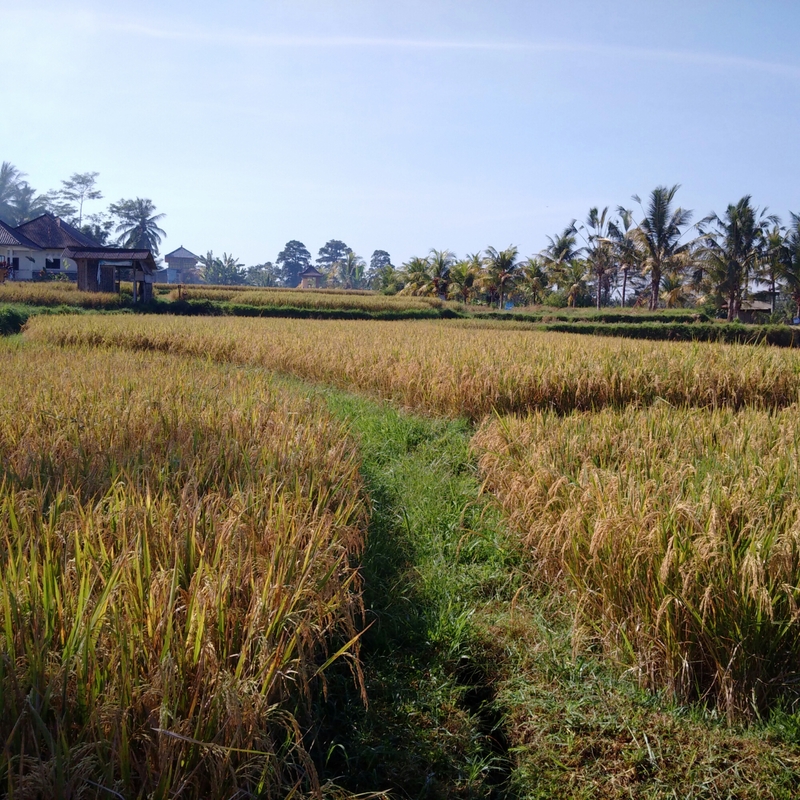 It is somewhat inefficient certainly, to the point that rice is imported more cheaply than it can be produced locally, but a walk through those fields is a cheap but relaxing way to get the feel of a place. There are sights aplenty, particular when heading out of the main tourist areas, and plenty of activities too. 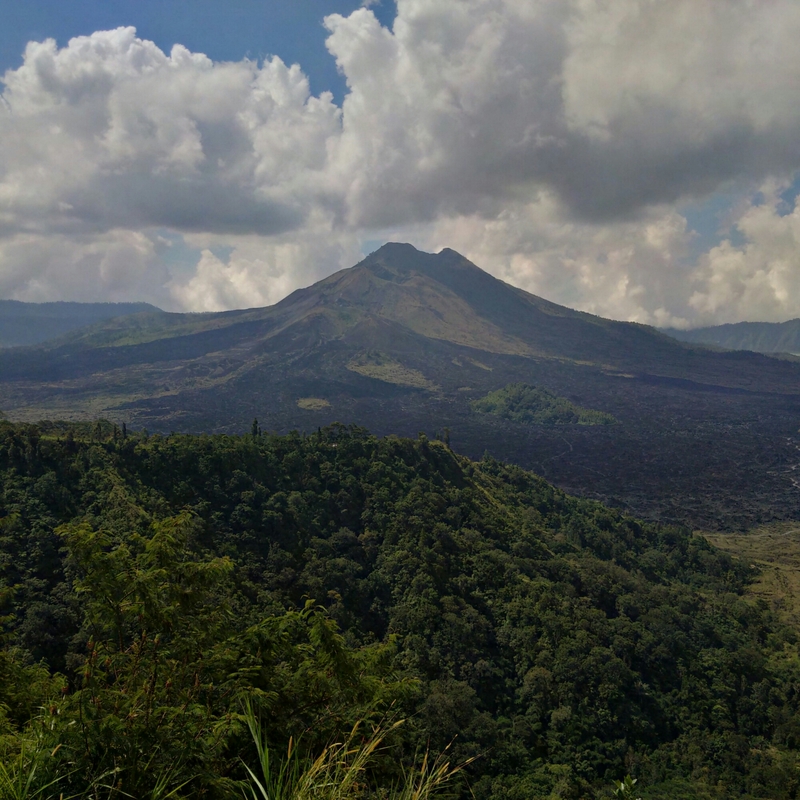 Mount Agung is the highest peak on the island, and an active volcano considered one of the world’s most likely for a massive eruption in the next century. The volcanic activity historically is, of course a large part of the explanation for the exceptional fertility of the soil. 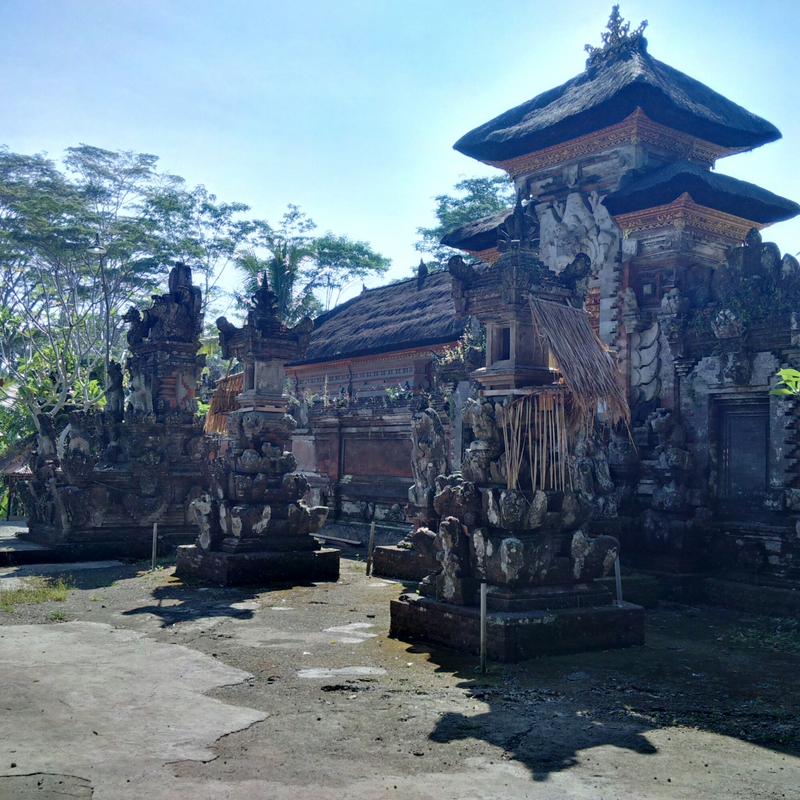 The Bali visit was a short one, making a thorough exploration impossible. A beach holiday here undoubtedly offers many attractions, but getting out and seeing what else it has to offer is imperative if not to rather miss the point of the place. From my own perspective there was so much left unexplored that limited time left a sense of frustration and unfinished business. An occupational hazard maybe, but the point in the previous post about only scratching the surface proved to be only too true. Bali is a destination beloved of backpackers over many years, the combination of low prices and great weather proving irresistible. The geographical location also attracts Australians in particular, as their closest foreign resort island. Indeed, the very use of the term ‘exotic’ when referring to holidays is partly defined by the location. No matter how attractive a place might be it is relegated to the normal if it happens to be on the doorstep. That is why Bali is always going to be a special attraction for people from the UK, Europe or the Americas; it has that air of being somewhere special and magical. For Australians that might be a European island destination instead – distance turns the beautiful into something even more exclusive. It does mean that Bali operates on at least two different levels; Kuta fulfills the mass market and backpacking needs while further along the coast towards Seminyak you find the more exclusive retreats, while inland to Ubud there is the flavour of a more authentic Bali. Those travelling from great distances are rather more inclined to do the kind of exploration that turns Bali from being just another beach destination into something special. For islands around the world suffer from the same problem, that large numbers come to the resorts and don’t explore beyond. Majorca is a stunningly beautiful island, largely ignored by the majority who visit in favour of the nightlife and resorts. And that is of course ok, but the side benefit of taking the trouble to come from afar is that more time is set aside. Two centre holidays, excursions, trying to find the soul of the place becomes much more the focus. Without long enough to truly do that, it is a matter of scratching the surface. Scratching will commence shortly.